Evan uses ⅔ cup of pineapple for each smoothie he makes. How many cups of pineapple does Evan use to make 6 smoothies? A snail travels ½ inch every minute. How many minutes will it take the snail to travel 5 inches? Edna is making trail mix. She adds ⅝ cups peanuts, 2/8 cups raisins and ½ cup almonds. How many cups of trail mix will she make in all? All of the questions above are examples of fraction story problems. Units about teaching fractions are full of food servings, garden plots, and yards of ribbon. Why? In my last blog post, I spoke about the impact on student learning when teachers intentionally hunt for student responses during a turn-and-talk to facilitate a meaningful discussion, rather than call on students randomly and hope for the best. This week we take a step back to examine the power behind the actual story problems students are solving during Math Stories. How does solving story problems support students in building conceptual and procedural skills? What should educators sweat when it comes to teaching story problems? The Math Stories scope and sequence is made up of 70 story problems, several sets that include 10-13 problems a month. This allows teachers the flexibility to respond to classroom data and repeat problem types on which students need to spend more time. For the 5th grade fraction story problems, the beginning of the school year focuses on problem types from the previous grade.1 We reloop fraction story problems from the previous grade so that scholars do not lose their fraction learning. In 5th grade, many curricula (like Engage NY) do not teach fractions until the third unit. 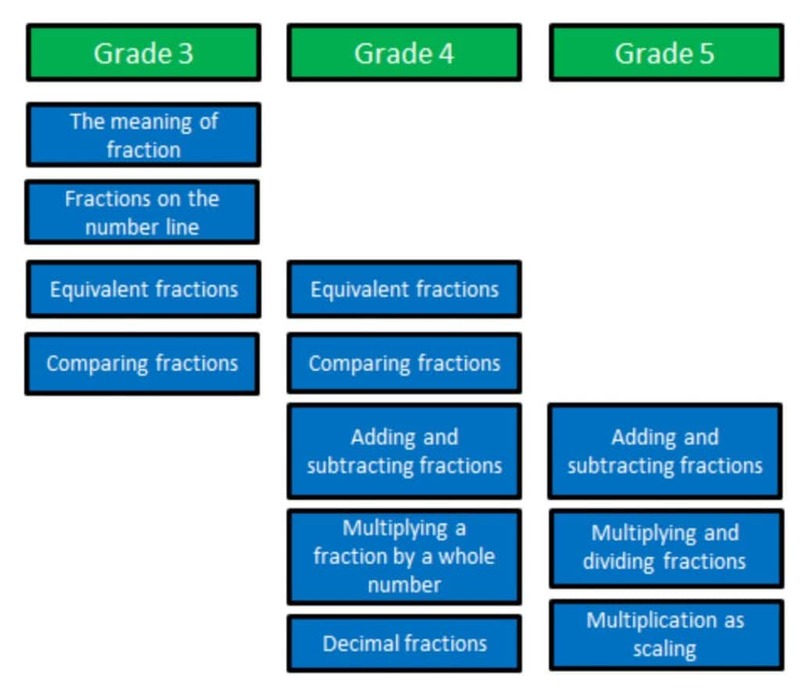 By focusing on 4th grade fraction story problems at the beginning of the year, we ensure that scholars are ready to engage with rigorous, grade-level story problems as soon as possible. The problem sets intentionally build in rigor. For example, students solve problems with common units for 1-2 months before unlike denominators are introduced. Initially, unlike denominators are restricted to halves, fourths, and eighths and students are only transforming one fraction. This scaffolding allows students to practice partitioning with familiar units and to make sense of equivalency with visual models instead of algorithms. A common teacher misconception is that conceptual understanding of adding and subtracting fractions must precede their work with application. Rather, conceptual understanding and application work together as students leverage real life reasoning to question if and why their representations and answers make sense. Many teachers believe that scholars cannot learn something until it is explicitly taught. We believe that with the right structures and supports during Math Stories, students can develop creative models and solutions to challenging problems without explicit instruction. Further, when scholars are the agents of their own discovery-based learning, it’s more likely that what they’ve learned is “sticky.” In other words, they’ll remember how and why they approached problem types the way they did and apply this knowledge moving forward. When students are solving story problems in Math Stories, they are flexing cognitive muscles in each of these areas. Students are making meaning of mathematical skills by applying them to real-world situations, such as finding common denominators to add ingredients in a recipe. Story problems enable deeper conceptual understanding by granting students access to a variety of approaches rather than a rote procedure because the teacher chooses examples of student work to discuss as part of the protocol. Finally, the standards provide grade-appropriate fluency benchmarks. Students practice core functions (e.g. add/subtract within 1,000,000 and multi-digit multiplication) during a different instruction time or as homework. A student’s speed and accuracy becomes an asset for manipulating and understanding more complex concepts when they are solving a story problem during Math Stories. We know that story problems matter. So, what can educators do when they encounter students who are skim reading story problems rather than thinking critically? While we believe in using the Math Stories protocol to increase scholars’ ability to conceptually understand and solve story problems, we also recognize that there are other strong problem-solving approaches. 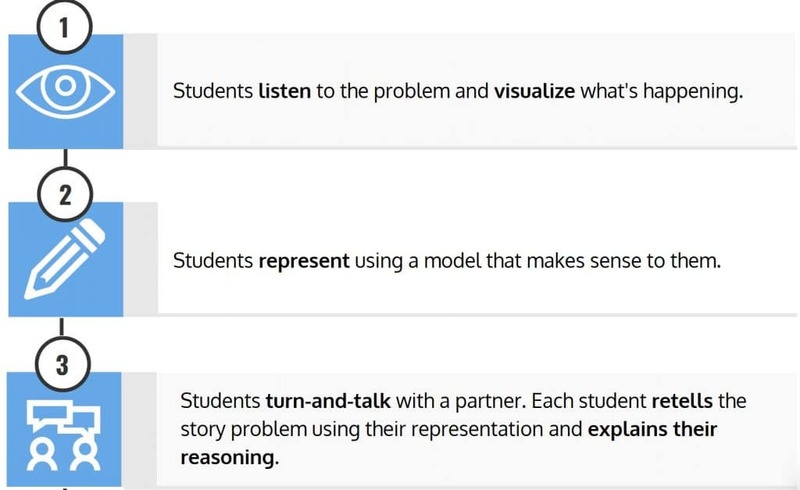 The National Council of Teachers of Mathematics (NCTM) and many math coaches suggest utilizing headless and tailless story problems to encourage students to think deeply about the language, context, and structure of a single problem. The Tompkins family owns a farm. Their property is 2 1/2 miles wide and 4 1/2 miles long. What is the total area of their land in square miles? The Tompkins family owns a farm. Their property is 2 ½ miles wide and 4½ miles long. What is the total area of the farm? How much longer is the farm than it is wide? If the Tompkins family wants 16 square miles of farmland, what are some new possible dimensions? The Tompkins family owns a farm. What is the total area of their land in square miles? Do we have enough information to answer the question? If I told you that the Tompkins farm is 2 ½ miles wide, would this be enough information? Why or why not? Students work in partnerships or groups to discuss the information that is given and what information is needed to solve the problem. Without numbers, students cannot jump to plugging numbers into an equation. They must discuss the context, language, and structure of the problem. One benefit of this is it supports students in recognizing patterns among problem types over time. Research has shown that connecting mathematics to the real world increases student motivation and understanding, as well as prepares them for work spaces that require mathematical literacy. Many of us grew up in classrooms that prided quick computation and fact fluency. Have you ever taken a “Mad Minute” quiz? Although fluency is still important, it’s only one leg of the tripod. Exercises in deep diving into real-world problems are key to reminding students that mathematicians are critical thinkers and problem solvers–not calculators. 2 Van de Walle, John et al. 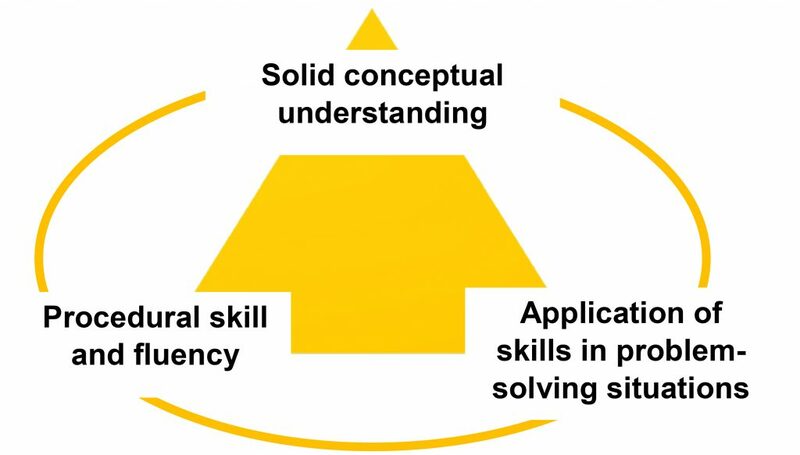 (2013) Elementary and Middle School Mathematics: Teaching Developmentally. 3 Achieve the Core. (2016) Introduction to the Math Shifts.